On Thursday, after “fervent, united prayer,” The Church of Jesus Christ of Latter-day Saints through, their online newsroom, shared a statement that included a shifting revelation: children of LGBTQ parents may now be baptized into the church, as long as the children’s parents approve, reversing an official policy first instituted in November of 2015. The policy change was announced by Dallin H. Oaks, a member of the church’s First Presidency and a relative hard-liner on the church’s policies toward LGBTQ people, in a move some members speculated was meant to appease more conservative factions. Reactions to the policy change were swift, and almost universally positive. Among the LGBTQ community, many expressed joy and relief at the unexpected reversal. Elected city officials—and those hoping to be elected—also commented on the change. Christian Harrison, candidate for Salt Lake City Mayor, also released an official statement. (He was the only one out of the current nine mayoral candidates to formally do so.) “As an out gay man who is also a practicing member of The Church of Jesus Christ of Latter-day Saints, I’ve witnessed first-hand the lives the policy ruined and the damage done to my community of faith,” he wrote. Signaling “a new era,” he asked listeners to look on the bright side. “This is a change. This must have been hard, this must have been difficult, and I’m appreciative of it,” Dabakis mused. Fellow mayoral hopeful Erin Mendenhall also took to social media to share her thoughts. 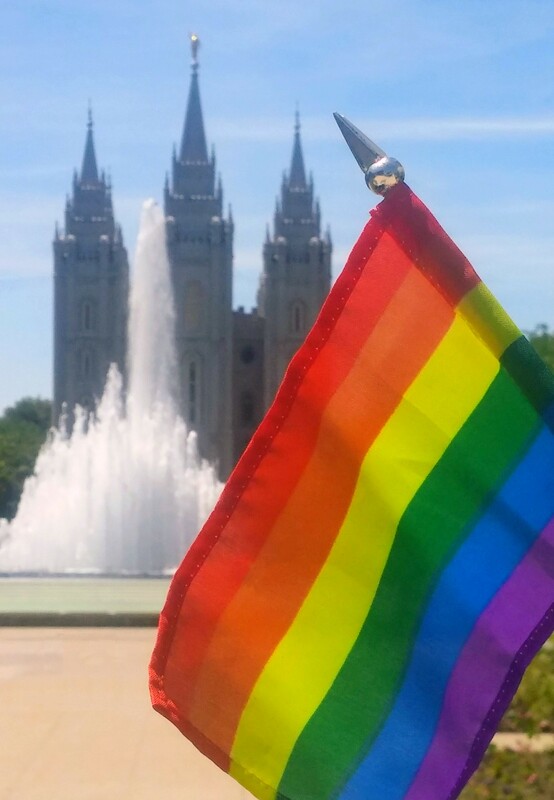 “I’m so pleased … by today’s action by The Church of Jesus Christ of Latter-day Saints to reverse its discriminatory and divisive policy concerning LGBTQ families,” the Salt Lake City Councilwoman wrote in a post. “It’s a great change, and it’s about time,” Sen. Derek Kitchen told City Weekly over the phone on Friday. “I think the decision to exclude the children of gay and lesbian parents was a misguided policy decision back in 2015 that truly harmed a lot of innocent children and drove a wedge between families, so I think reversing that policy is very astute,” Kitchen, a catalyst for marriage equality in Utah, continued. Positive reception of the policy change has been tempered by a common sentiment—that while the change was necessary and welcome, it still does not signal full acceptance of the LGBTQ community. “[We have] been a firsthand witness to the damage caused to families within and beyond membership in the church affected by this policy over the past three and a half years,” Affirmation, a New York City-based organization for LGBTQ Mormons and their families, said in a statement.